The glycogen body consists of large polygonal cells. The cells contain a central mass of glycogen that is encircled by a peripheral ring of cytoplasm with the nucleus displaced to one side. 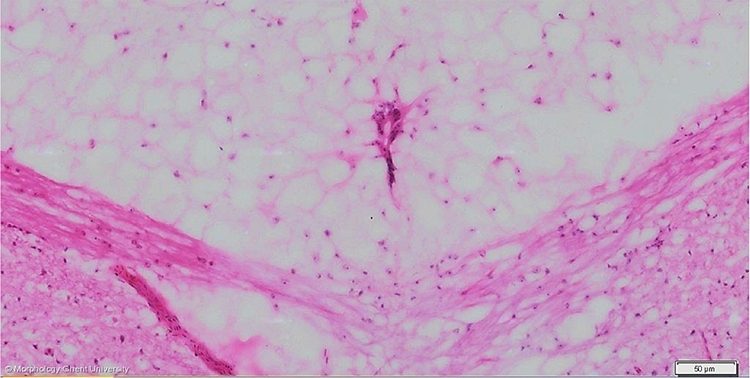 The intercellular connective tissue is very sparse. The glycogen body cells arise from the ependyma and roof plate of the spinal cord and thus are of glial nature.